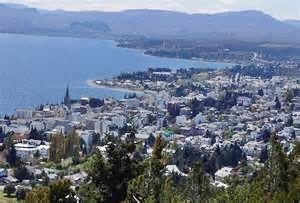 I arrived in Bariloche late yesterday after a long bus ride from El Chalten. My body is either becoming accustomed to South American bus rides or much of the misery is in one’s attitude, it wasn’t as uncomfortable as anticipated. I met new people the last day in El Chalten and enjoyed talking with them. They shared many interesting stories. One man I met hiking was from Krakow, Poland but is now living in Berlin. He has relatives in Ukraine who have a hard life, especially his aunt and grandmother who live there on $50 a month. His life is considerably different from theirs as a mergers and acquisitions VP for Siemens. He plans to get his masters at Stanford. Since I lived in San Francisco for so long we chatted about the Bay Area. While having coffee at a café in El Chalten, I met a handsome young French tourist who was taking a break from the financial world where he was involved with some companies being investigated by the French government. I guess you could say he’s on the lam for the time being! He was very fit and had spent time climbing some of the higher mountains in Patagonia and enjoying the Andes. He shared info about his life in the investment world :o( and how to exchange USD for ARS (Argentinian Pesos) on the black market. The USD is devalued in Argentina. The exchange cash you get from an ATM is really about half of the value. Since Argentinians pay for their real estate purchases in USD, the dollar has high value. If you know where to exchange dollars (other than the banks) potentially you can get close to double your money. I now have the details of where to go in Buenos Aires – we’ll see. On the bus I met a woman (Martine) from France who also travels throughout the world solo. She lives in Provence and enjoys adventure and long trips to foreign countries. She has already passed through Buenos Aires, my next stop. 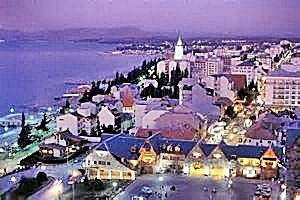 Today I checked into a small apartment in Bariloche where I’m booked for a week – yeah the same bed for 7 days. During that time will decide if I want to stay here longer or go somewhere else. I plan to return to the US in June or July. During these last few months I will spend more time in each place visited. Constant moving can make you a little crazy. I haven’t shared things like washing my jeans in the shower and using the hairdryer to dry them because I couldn’t find a laundromat or didn’t have time to send them to a laundry…. Being on the road for an extended period of time has many challenges. Sometimes you miss the more mundane and frivolous things of life – like the washer and dryer, Jacuzzi tub, espresso machine, and most of all your own kitchen and comfy bed! 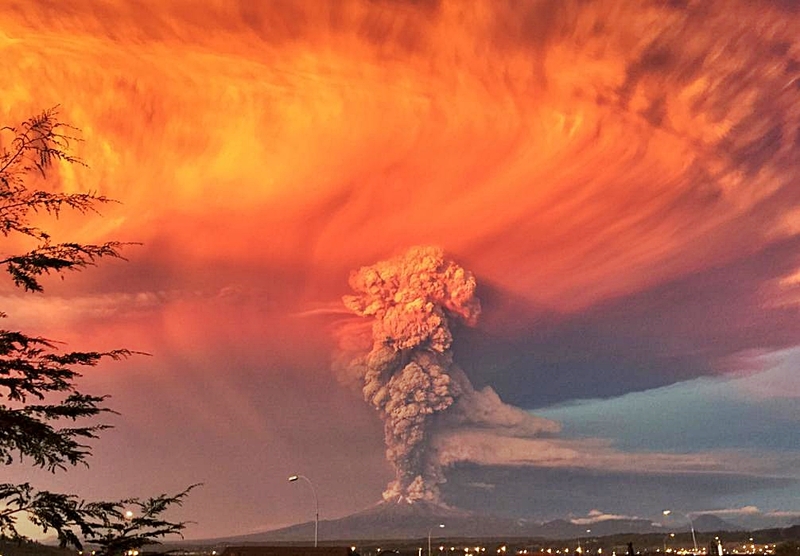 Chilean Volcano Calbuco is erupting and Bariloche is on alert. As we were approaching Bariloche last night I commented on a cloud that looked like a mini Hiroshima – it was Volcano Calbuco! The sky is smoky looking today and the streets have a light coating of volcanic ash. At first when I looked out the window, thought it was fog, but it’s ash from the volcano. 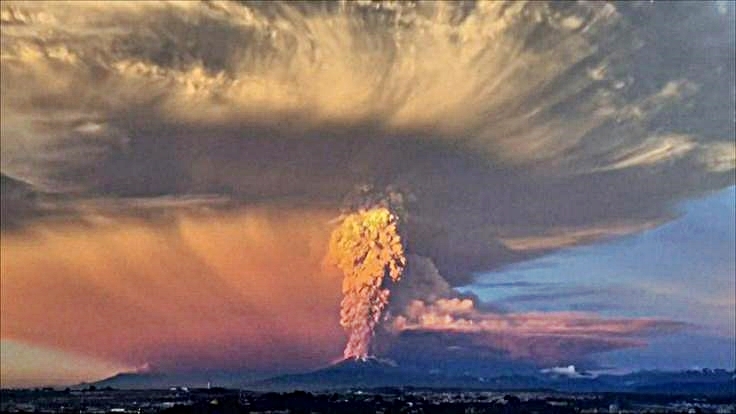 This entry was posted in Argentina, South America and tagged Bariloche, El Chalten, Volcano Calbucol by suemtravels. Bookmark the permalink.